We’ve been offering teaching and tuition to various educational institutions for several years now, and have brought our tasters and lesson plans into schools, colleges, universities and various other institutes with great success and all round satisfaction. Our sessions aim to make being fit, healthy and focused as fun as it possibly can be, and with slacklining and similar balance activities we can deliver this at affordable rates and to the highest levels of service. With our combination of slackline demonstrations and tuition, we’ve helped more people learn to slackline – in a quick and safe environment – than we can even count. 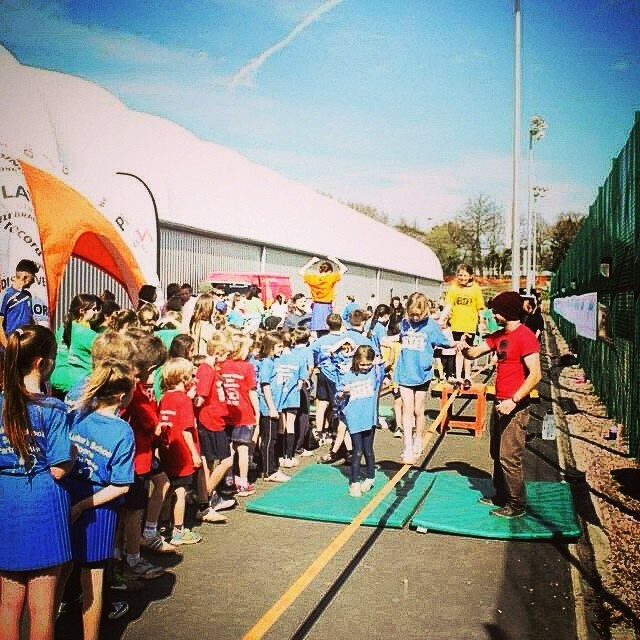 The end goal of it all is that we get young people more interested in healthy, outdoor activities like slacklining, which contribute to their physical and mental well being, whilst being an absolute ton of fun at the same time. We were really impressed with The Slackline School and the way they ran things for our Sixth Form Activity day. Despite the weather they managed to get nearly fifty of the students walking on the slacklines, and they’re still talking about it now. We’ve already got plans to get The Slackline School back in regularly – Sophie Kelly, Administrator at Falmouth Sixth Form College.